It is crisp and dry, with light tropical flavours. Develops a creamy texture on the palate. Fruity aromas of melon, orange, apple lime. Full bodied, ripe fruits. A full-throttle red perfect for juicy cuts of steak, prime beef burgers, pastas with rich tomato-based sauce or as the Guardian suggests: a pulled pork sandwich! Beautifully balanced blend of ripe grapefruit, gooseberry and tropical fruits in a medium-bodied texture. Fruity, with a hint of apples and pears. Dry, refreshing, lovely purity, light and delicious. Dry, light and refreshing with pineapple aromas. Aromas of herbs, grass, yellow plum, green pepper and a zippy lemon acidity. Fruity, zippy and zesty, and especially appropriate for the season. 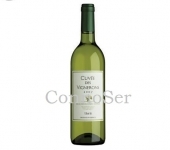 Aromatic and fruity with peach aromas.